Portfolio management comprises of entities primarily engaged in managing the portfolio assets (i.e., funds) of others on a fee or commission basis. Establishments in this industry have the authority to make investment decisions, and they derive fees based on the size and/or overall performance of the portfolio. 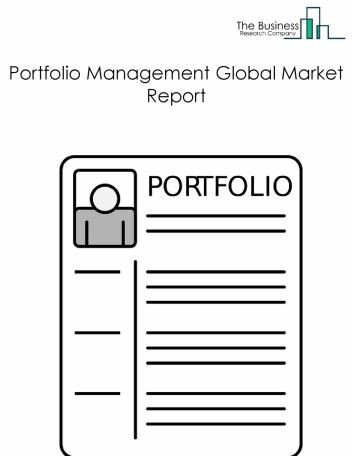 The global portfolio management market was valued at $657.3 billion in 2017. North America was the largest geographic region accounting for $332.5 billion or 50.6% of the global market. The USA was the largest country accounting for $318.9 billion or 48.5% of the global portfolio management market. Robo-Advisors are shaping the future of portfolio management which help to analyze and manage investor portfolios. These advisors allow traders to robotize their research and management processes. This technology helps to recreate human financial advisors, and make more money for their customers. One such robo-advisors which got popularity in 2018 is the Schwab’s Intelligent Portfolios “zero fee” structure which charges no account fees or commissions. The companies covered are Vanguard Group Inc., Pacific Investment Management Co. LLC, BlackRock Inc., J.P. Morgan Asset Management, and State Street Global Advisors. Lost Your Payment Card? Don`t Worry, It Will Be Secured With The New EMV Technology! Reinsurers Bundle Their Offerings To Increase Revenues. Boutique Firms Expand Investment Banking Firms’ Business. Lend Online – Lend Fast. Strict Regulations Drive Innovative Payments Options. 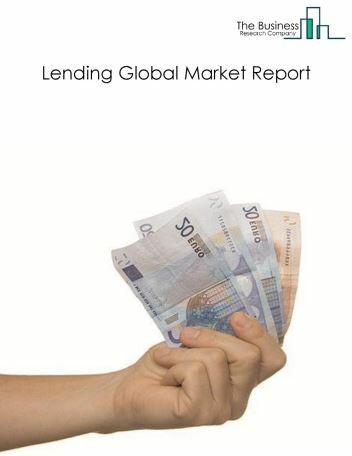 The lending and payments market consists of sales of lending and payments services by entities (organizations, sole traders and partnerships) that engage in lending and payments related activities such as lending, payments and money transfer services. 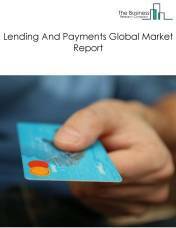 The lending and payments industry is categorized on the basis of the business model of the firms present in the industry. Some firms offering lending services may offer other services, financial or otherwise. Revenues from lending and payments services include interest on loans, margins or commissions charged on transactions, and not the loan or repayment values themselves. The insurance market consists of sales of insurance by entities (organizations, sole traders and partnerships) that engage in insurance and related activities such as underwriting (assuming the risk and assigning premiums) policies, insurance brokerage and reinsurance. The insurance industry is categorized on the basis of the business model of the firms present in the industry. Some insurance firms may offer other services financial or otherwise. Contributions and premiums are set on the basis of actuarial calculations of probable pay-outs based on risk factors from experience tables and expected investment returns on reserves. The value of the market is based on the premiums paid by those insured, both commercial and personal as well as the fees or commissions paid to brokers. The investment market consists of the fees and commissions from investment management activities earned by entities (organizations, sole traders and partnerships) that manage investment related activities such as securities underwriting, stock brokerage and wealth management services. It does not include the value of investments held or the amount of money invested in a given year, net or gross but fees commissions or margins on the amounts invested. 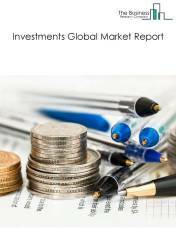 The investment industry is categorized on the basis of the business model of the firms present in the industry though some investment firms offer other financial services. 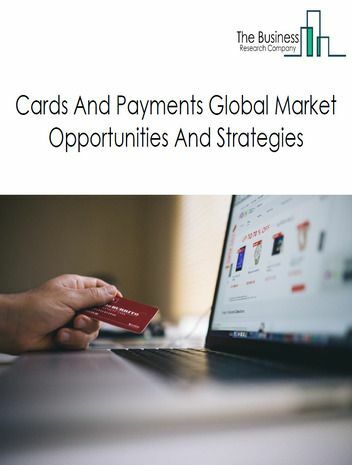 The cards and payments market consists of sales of cards and payments services by entities (organizations, sole traders and partnerships) that engage in storing, processing and transmitting payment card data. The card and payments industry includes issuing and acquiring banks, card processing and issuing companies, payment processing institutions such as banks, and non-banking financial corporations. Revenues generated from the cards and payments market include the processing and services fees or commissions levied by the banks and financial institutions for payment processing. This market excludes interest charged by the banks on credit cards or other cards. 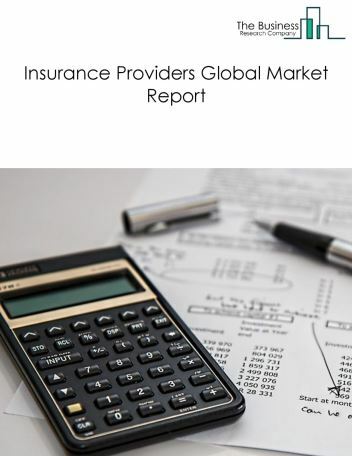 The insurance providers market consists of sales of insurance products by entities (organizations, sole traders and partnerships) that undertake underwriting (assuming the risk and assigning premiums) on annuities and insurance policies. Insurance providers invest premiums to build up a portfolio of financial assets to be used against future claims. Direct insurance providers are entities that are engaged in primary underwriting and assuming the risk of annuities and insurance policies. Reinsurance providers are businesses that assume all or part of the risk associated with an existing insurance policy or set of policies, originally underwritten by another insurance carrier (direct insurance carrier). 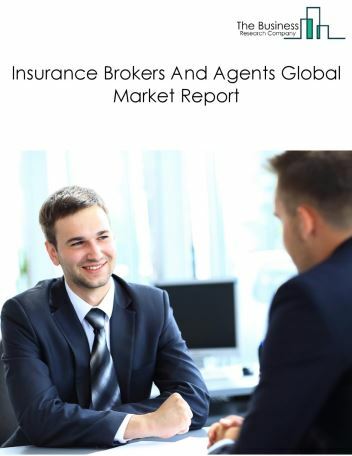 The insurance brokers and agents market consists of sales of insurance policies by entities (organizations, sole traders and partnerships) and individuals that act as intermediaries (i.e., agents, brokers) in selling annuities and insurance policies. They represent consumers or insurance providers or both in insurance premium collection. Insurance brokers and agents can be contracted with single or multiple insurance companies as they try to meet different client needs with available insurance products. This market excludes the direct selling of insurance products by insurance companies. The value of the market is based on the fees or commissions paid to brokers by the insured, both commercial and personal. 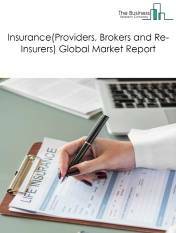 The reinsurance providers market consists of sales of reinsurance by entities (organizations, sole traders and partnerships) that assume all or part of the risk of existing insurance policies originally underwritten by other insurance providers (direct insurance carriers). 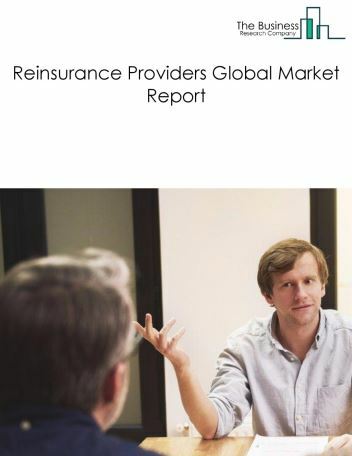 Reinsurance providers invest premiums collected from insurance providers to build up a portfolio of financial assets to be used against future claims. The size of the market is based on the value of the premiums reinsured.